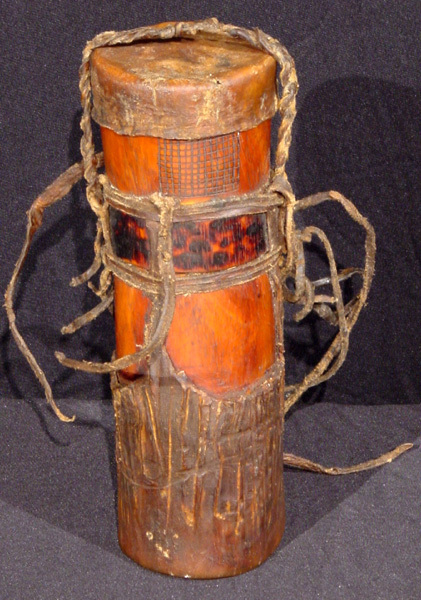 Turkana & Maasai tribes Decorated round wood "food flask" container with leather top used by the Maasai and Turkana people of Kenya. Circa 1950s. $360 Click here for payment information and shipping quote using item #.